January 16, 2019, 11:41 a.m.
Laws that will eventually ban diesel and petrol cars are slowly being introduced around the world, forcing automotive brands to turn their focus on hybrid and electric vehicles. But they have a long way to go. Only 2% of households currently own a hybrid and just 1% have an electric car. Just over four in ten (41%) car owners say they are “somewhat likely” to buy a hybrid car next, and a substantially lower number (19%) say the same about electric vehicles. As new regulations were announced fairly recently in the UK, it’s natural that people are slightly apprehensive. The data indicates there are three main barriers to purchase for greener cars. The public are not clear about what monetary benefits, tax incentives or grants that they will receive by switching to an eco-friendly model. This is important because cost is a major factor in whether people choose to buy a hybrid or electric vehicle. Almost three quarters (74%) say that the initial cost of the car is a barrier and more than half (52%) say that the expense of charging the vehicle at home puts them off. What’s more, the changes to legislation in October 2018 scrapped grants for new plug-in hybrids and reduced discounts on electric cars, adding to car owners’ concerns. 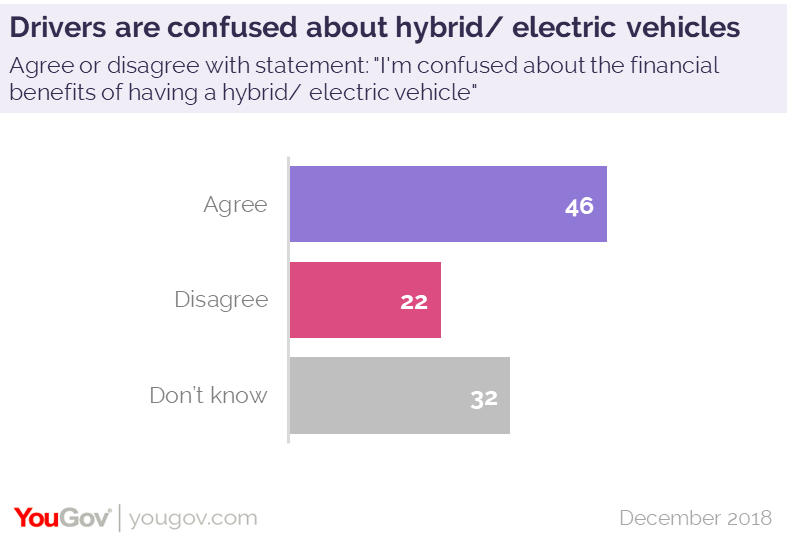 A third (36%) of the total population say they’re less likely to consider a hybrid/electric vehicle for their next purchase and this rises to four in ten (40%) among petrol and diesel owners. Even once someone is comfortable with the idea of owning an electric or hybrid car, the next question is which marque to choose. 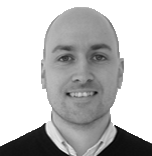 Some brands which currently have high market share have much lower levels of purchase intent when it comes to electric or hybrid cars. Ford has 13% share of the market but only 4% would consider buying an electric model from the brand. Vauxhall faces a similar issue. While one in ten (10%) own a Vauxhall car, only 1% would consider it for a hybrid/electric car. This is likely in part because it will only start offering greener vehicles in mid-2019 and will be limited to two models. On the flip side, Toyota, which already has seven models available, is considered by 7% of the population when it comes to electric vehicles – the same percentage as those who currently own one a car by this brand.